We're in the lazy days of summer just swimming along with no set schedule. We've spent a lot of time in Maine (with more to come) which means lots of progress on my La Passacaglia but we had a brief interlude of bad weather which sent us home early. 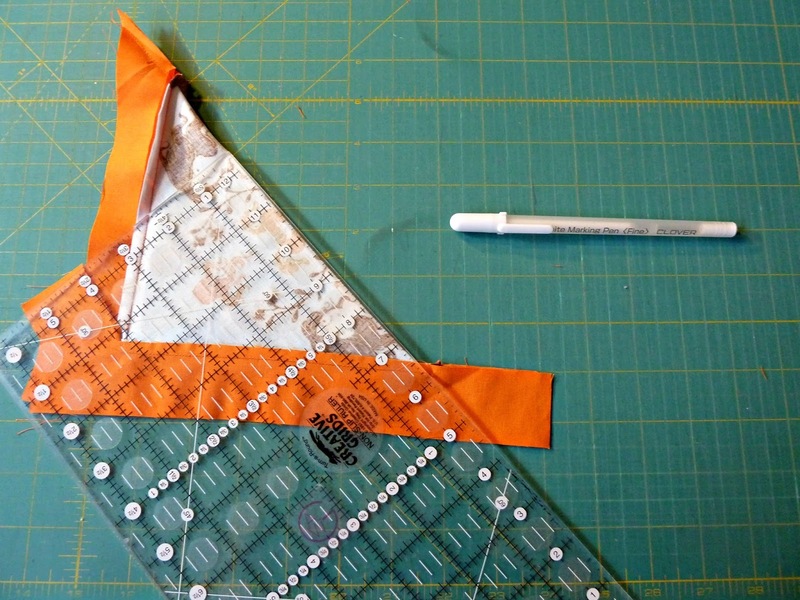 After 10 days with no TV the kids were ready to catch up on some screen time so I snuck off to my studio for some sewing. 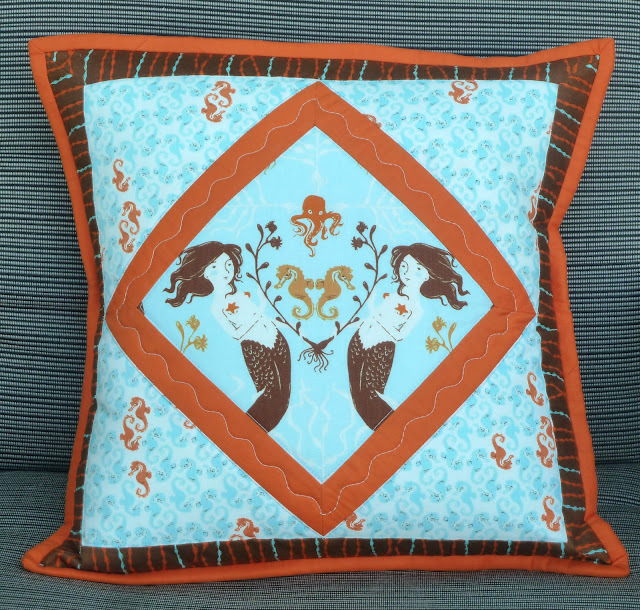 My plan was to piece together the back for my Mendocino chevron but that seemed like too much work so I decided to just make a pillow with one of the leftover fussy cut mermaid blocks. A square in square layout seemed obvious but I added a band of apricot to make the center block pop. I thought it would be "fun" to challenge myself so I mitered the corners. Pillows are great for picking thread colors and practicing quilting designs. 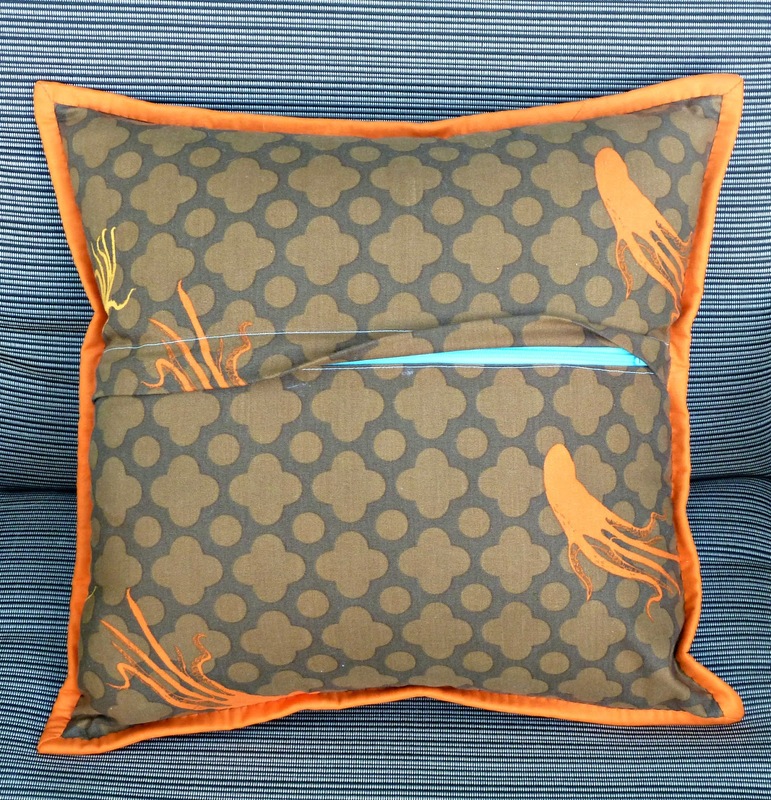 I love the way the turquoise thread pops against the orange. 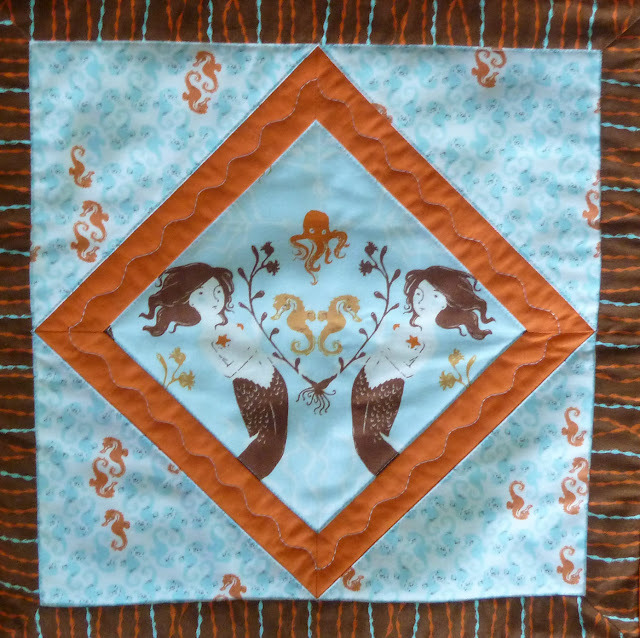 I kept the quilting simple just outlining the pieces but did added a wavy pattern (Bernina stitch #4) in the Apricot. 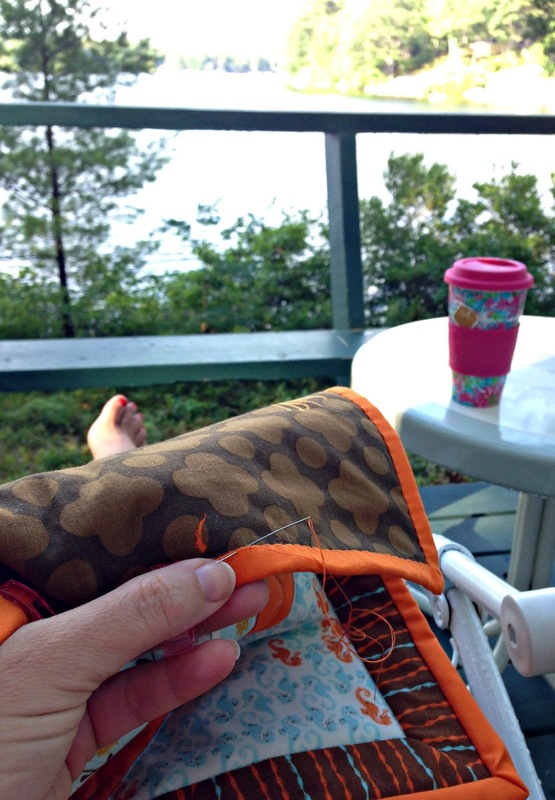 Now that we're back at the lake I got a perfect morning to tack the binding and finish this one up. I bought a truckload of zippers before Quilter's Way closed so I used my go to zipper closure tutorial by to S.O.T.A.K. Handmade for the back. Swimming along with this week's Finish it Up Friday by Crazy Mom Quilts. 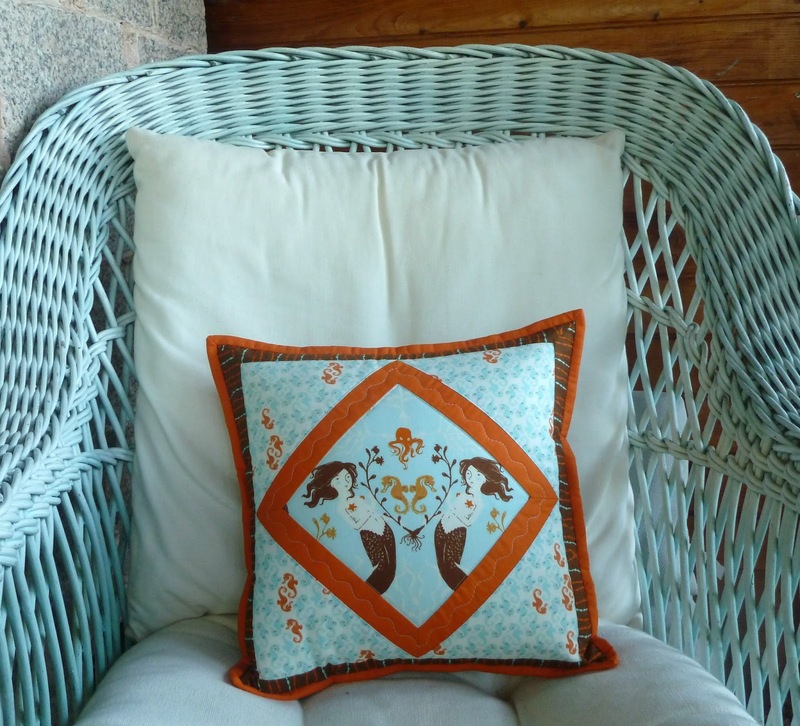 Finished pillow is 14" x 14"
Thread: 50 wt. 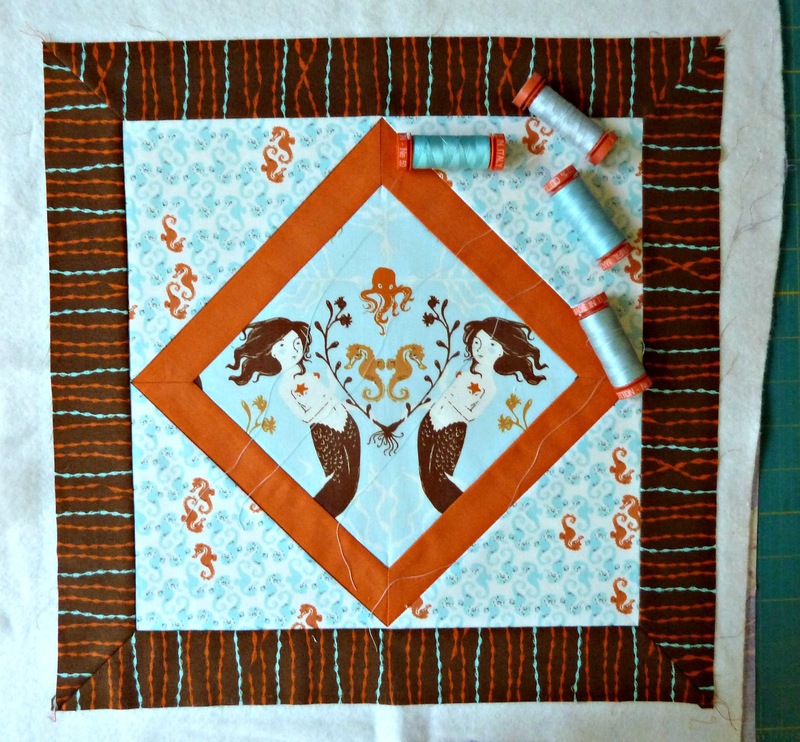 Aurifil in Light Turquoise (2805). So sweet! It looks perfect in Maine! 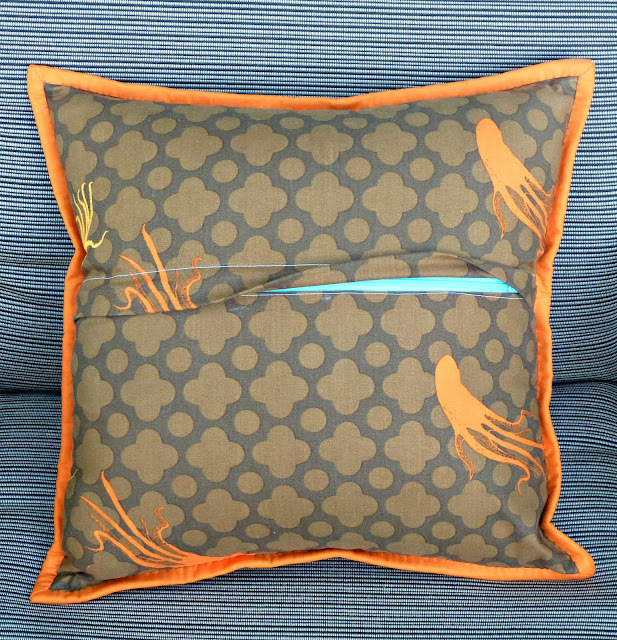 Beautiful colors, great use of that print, nice finish!